Annie's career began in the medical field. An opportunity in 2000 turned her focus towards dentistry. With over 22 years of experience at the front desk, she is the "go-to" person for questions about insurances, specialists care coordination, co-pays, etc. 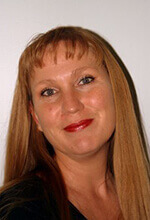 Annie began chairside dental assisting in 2004 with Dr. Davis. She is a proud Santa Fe native, with a large extended family. Annie is passionate about her family, the great outdoors, gardening, and caring for our locals. She can direct you to anyone - from a good auto mechanic to a great restaurant, or fill you in on our city's history, including Fiestas and Zozobra.